(91outcomes.blogspot.com – Friday, August 7, 2009) – A provision in the defense spending bill currently winding its way through Congress would provide a $2 million appropriation earmarked for an ALS therapy development institute/Gulf War illness research project. The spending measure was inserted into the version of the federal Fiscal Year 2010 Department of Defense Appropriations Act by Representatives Harry Brown (R-S.C.-01) and Michael Capuano (D-Mass.-08), and would be in addition to $1.2 million first included for the project in the FY08 Defense spending bill. 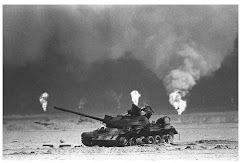 Previous research has noted rates of ALS much higher than expected in veterans of the 1991 Gulf War, particularly those who were near Khamisiyah, Iraq, when Iraqi munitions stores were detonated. 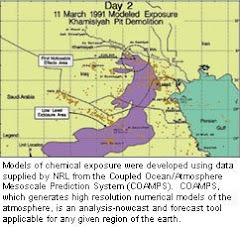 The U.S. Department of Defense notified Gulf War veterans that the detonated munitions included those containing sarin and cyclosarin nerve agents. The detonated munitions may also have included mustard gas and other chemical warfare agents known to have been among those stored by the Iraqi military at the time. Mikolajcik proposed a congressionally directed task force to identify a lead federal agency for the research of ALS and a strategic plan to address a comprehensive, forward looking and all inclusive research program for the disease. The FY10 Defense spending bill now goes to the Senate for consideration, where the full bill is expected to be addressed in September 2009. A companion version of the bill is already under consideration there.